In October we said goodbye to Yoshiaki Nagasawa, who joined us from Hokkiado, Japan, for a five-month volunteer internship. I first met Yoshi in Cairo at eLearning Africa in May 2016. He’d come to hear my talk on FunDza that focused on the lessons we’d learned over the past five years of getting people reading and writing on their mobile phones through the fundza.mobi network. I’d spoken about the challenges that many of our young readers face, specifically the challenge of the high cost of data, which limits the amount of time that they can spend reading on our online platform. And, my talk touched on the work that we do to use stories for social change, specifically in introducing our Constitution and its values to readers through the first Rights Project that we had run from 2014 to early 2017. Yoshi was animated with excitement about FunDza. He told me a little about himself – he was completing his law degree in human rights at university, but he also was a self-taught programmer and had a deep interest in how to use technology for social good. 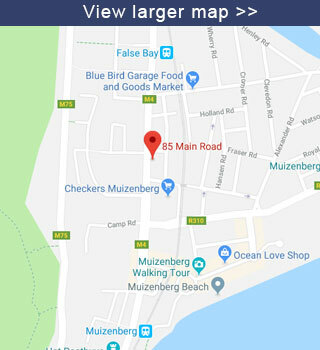 He’d loved the FunDza project and wanted – already then – to create an offline version of FunDza from which people could download content without the stumbling block of data fees. He’d also said that he was hoping to come and visit South Africa. So, we pledged to keep in touch… and we did by making friends on Facebook. Some months later he messaged me to say that he’d received a scholarship from the Japanese Government to work on a volunteer basis with organisations in South Africa. Could he come and work at FunDza for a couple of months…? For a couple of years, I’ve resolved to say ‘yes’ rather than ‘no’ as far as humanly possible. It’s opened up my life – both personally and professionally – to surprising encounters and things. So, of course, the answer was ‘yes’, even though I wasn’t sure how he would necessarily fit in. When Yoshi first arrived in South Africa he started an internship at Black Sash and then joined FunDza from May to October 2017. In those almost six months he not only sorted out all the office computers and electronic equipment but he also built a prototype of fundza.lite – an offline version of fundza.mobi that can be housed on a raspberry pi device and which allows readers connecting to the device via the local wifi network the option of downloading the content to their mobile phones. We’re delighted that he was able to give birth to this new project for FunDza. We are busy replicating it at present and will be testing it with groups around the country from early next year. 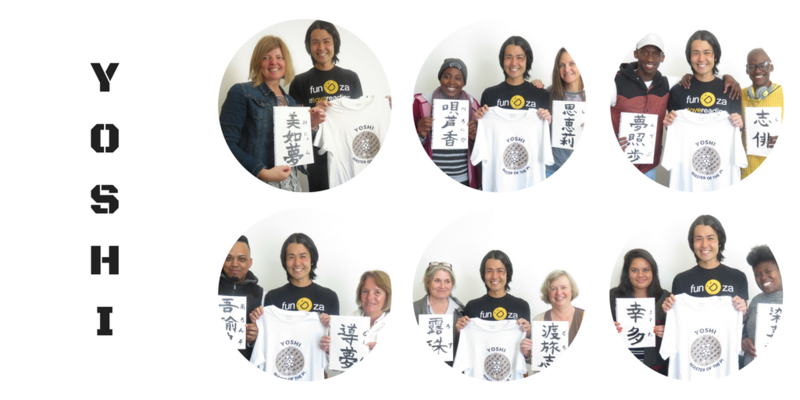 On Yoshi’s final day we held a tea party for him and gave him some gifts, including his specially-designed “FunDza with love” t-shirt, giving him the title of “Pi Master”! And, he in turn gave us each unique gifts too – every staff member received a page with their name written in both Chinese and Japanese script, with an explanation of the meaning on the back. He’d selected the characters according to how he saw each person – so the explanations are both poetic and deeply personal for each. We miss not only his hard work and expertise, but also his warm heart and ready smile. Thank you, Yoshi. Hamba kakuhle. Sala kakuhle. We hope that you’ll come back and visit soon.